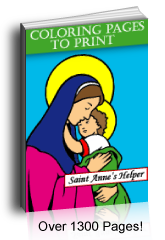 We have several praying coloring pages. 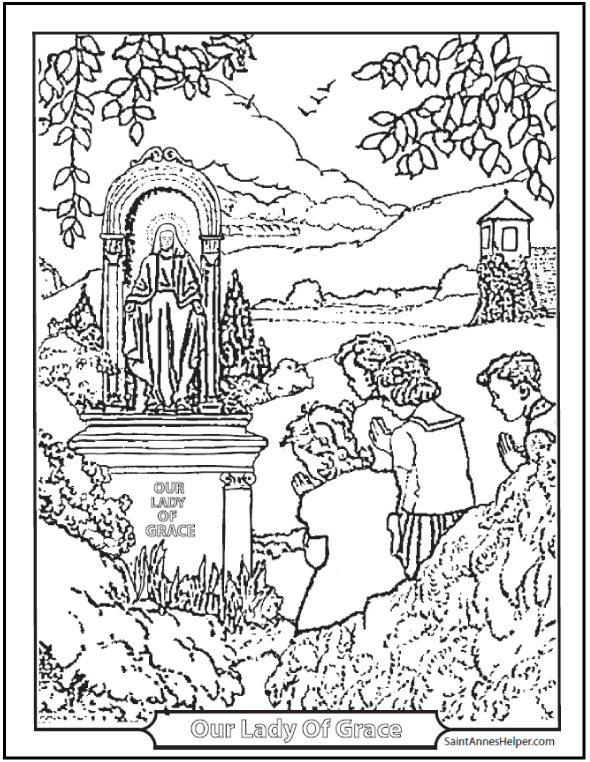 This one shows children praying at an outdoor shrine to Mary, Our Lady of Grace. There is a country church in the background. Prints 8.5x11" PDF single sided. Print this picture of children praying here.